The oldest cruiser worldwide ? The Minin (Минин) was still in service in 1914. By that time, she was 48 years old, and by the time the war ended, get passed half a century. Yet she was not a museum ship, but fully active the whole time for the Russian Empire. Fact is, she was started in 1863 as a sister ship for the Kniaz Pozharsky, an ironclad. 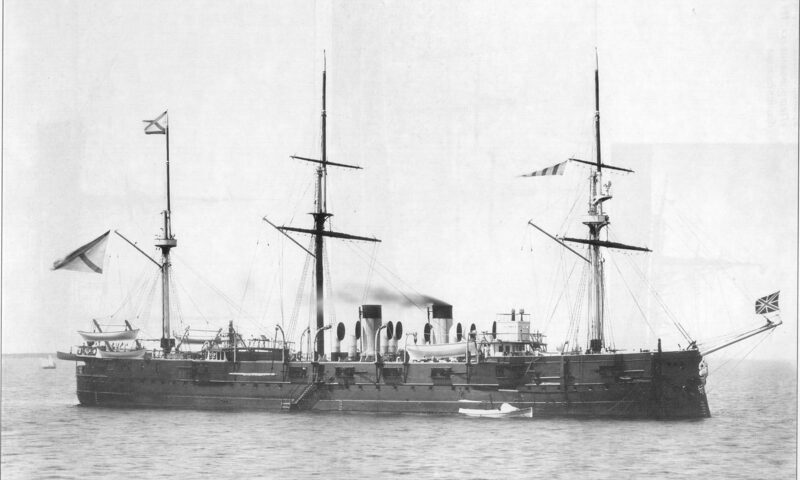 But contrary to the former, she was redesigned as a turret ironclad as the broadside ironclad genre was already obsolete. In this first configuration she looked as a three-masted ship, but with a low-freeboard, as HMS Captain, the idea being water was a protective barrer by itself (and the Captain still had not sink by that time), proving how far this hull concept was dangerous. 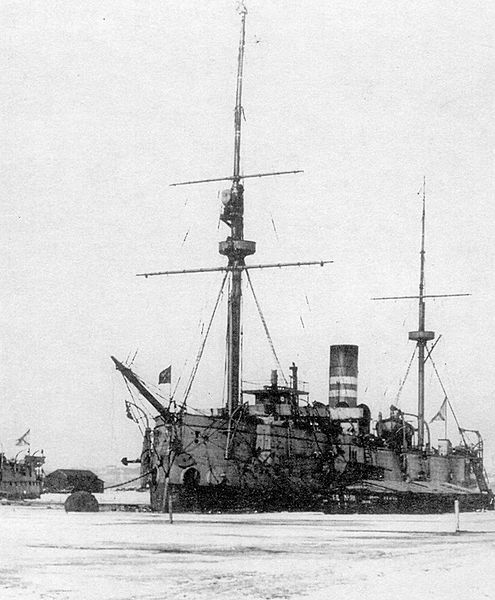 Bacause of these modifications, the Minin was eventually launched at Baltic Works, Saint Petersburg in 1869 but completed in 1878, nine years after a complete reconstruction ! “Minin” was named after Kuzma Minin, a famous figure of the Russian renaissance, helping Pozharsky against the Poles at Moskow. In its original configuration, she was a 95 m wooden ship with a hull sheathed with copper to reduced biofouling. She was propelled by a vertical compound steam engine, single propeller and a dozen coal cylindrical boilers. This gave 5,290 hp (3,940 kW) for a 14.5 knots top speed, for what she carried 1000 tons of coil, reaching about 4200 nautic miles. Fully rigged, she can reached as much as 4 knots, and complement steam power by sail. In this case, the funnel could even be lowered to reduce drag. Original protection comprised a belt 6–7 in thick (152–178 mm) and a deck 1 in (25 mm) with wrought iron. Her armament then comprised four 8-inch (203 mm)/22 cal., twelve 6-inch (152 mm)/23 cal. and four 87-millimeter (3.4 in) rifled breech-loading guns. 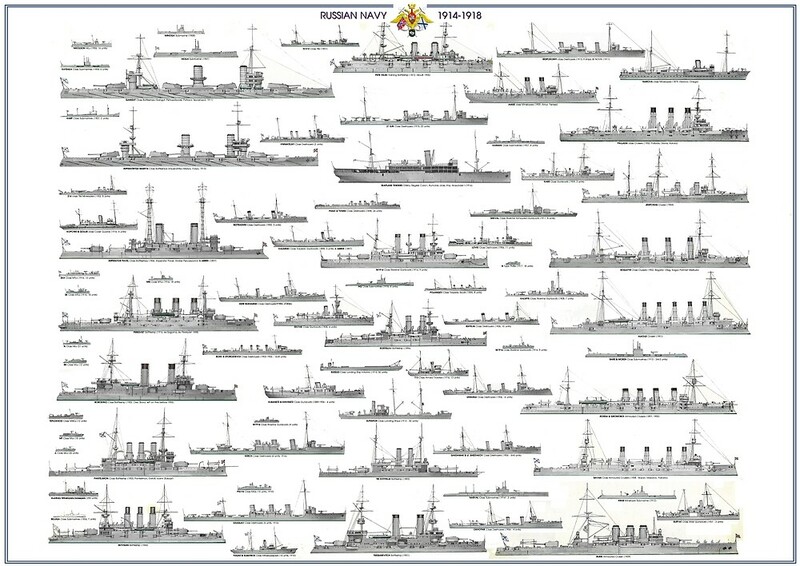 In 1899, her armament was modified for the third time (out or six), with the same four 203-мм/30, but only six 152-мм/45, six 75-мм/50, eight 47-мм/44, four 37-мм/23, four 7,62-мм MG and two 64-mm saluting guns. In 1909 shorty after her total second reconstruction, she had ten 152-мм/45, six 75-мм/50, eight 47-мм/44, four 37-мм/23, four 7,62-mm MG.
She was refitted in 1887, which prolongated her use until 1906. In 1906 however she was demoted from cruisers of the 1st rank to training ship. In 1908 she was refitted as a floating mine warehouse. In 1909 she was renamed Ladoga in to free the name for more modern ships. In the fall, she was enlisted in the Baltic detachment of minelayers. But it’s only in October 27, 1912 that she emerged, converted as a minelayer (battery deck rails, outboard stern slopes), new boilers produced by the Black Sea Mechanical and Boiler Plant. Her rigging was reduced to 2 pole masts, and crucially the armament was down to just four 47-millimeter (1.9 in) guns. Everything on board was modified to handle and carry 1000 mines. Ladoga in her new assignation participating in laying the great mine barrier of the Gulf of Finland in 1914. She performed several other missions and was eventually sunk in the Baltic on 15 August 1915. The irony was she sank one the mines previously laid by German minelayer submarine SM UC-4. She was blown up on a mine placed near the island of Ere which dug a hole in the bow on the port side. As a result of a rapid flooding of the boiler room, a boilers explosion followed, after which the ship sank, but fortunately only 5 crew died.